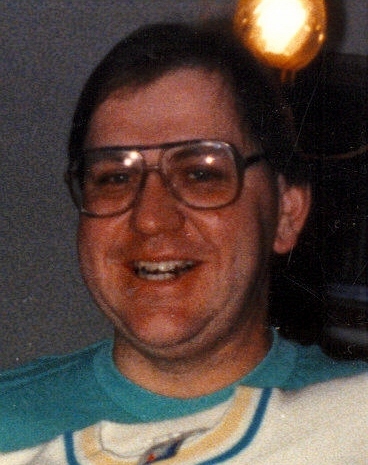 Edward Charles Reimers died in his sleep September14, 2009 at Covington Heights Nursing Home. Ed was born January 12, 1954 in Estherville, Iowa to Dr. Frank and Mary Ann (Anderson) Reimers at Holy Family Hospital. Ed graduated from Lincoln High School in 1972 at which time he completed 2 years of college at SDSU. Ed participated in wrestling, football and power lifting in high school and college. He attended Pipestone Area Vo-Tech School where he graduated from the Supermarket Management course of study. On August 29, 1980 Ed married Madonna Kock. Their daughter Sarah Ann was born to this union. Ed could often be seen at the softball diamonds coaching his daughter's games. Ed was an avid fan of the Minnesota Vikings and Minnesota Twins. One wanted to be a good distance from the house when he was viewing a game! Ed worked in various retail jobs throughout his work history and retired in 2000 due to his compromised health. Ed was preceded in death by his infant sister Rose Ann and infant brother Michael, parents Dr. Frank (Doc) and Mary Ann, and William Richard (Mr. Bill) Reimers. Many thanks are extended to George and Margaret for their kindness shown to Ed throughout his life. Ed is survived by his daughter Sarah Ann, brothers Thomas and Daniel and very special friend George Balak. Visitation will be Wednesday, 9 AM at St. Michael Parish with a Funeral Mass at 10: AM.